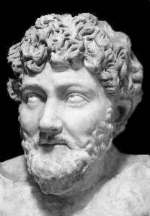 Aesop was an Ancient Greek fabulist and story teller credited with a number of fables now collectively known as Aesop’s Fables. A large collection of traditional fables. Read for free online at HathiTrust. A selection of Aesop’s fables with black and white illustrations by Louis Rhead and color by Frank Schoonover. Sixty famous and familiar fables. Twenty fables with illustrations of the original fable and a cartoon of a modern application.